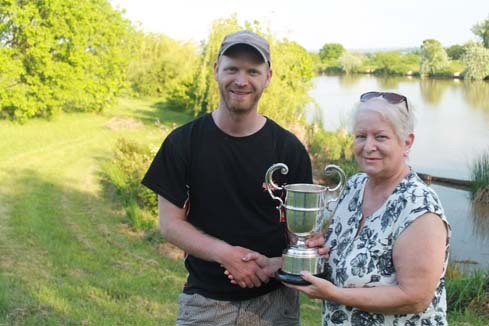 This was the 10th consecutive year of this prestigious angling event whereby the angler with the highest weight of either of the two days receives the Ivan Marks Memorial Trophy from Linda Marks. Scorching temperatures greeted the 80 competitors on Day 1 and expectations were mixed. The fish had started to spawn on Glebe Pool 1 and everyone could see carp thrashing everywhere. This did not stop the fish feeding though and the results from every lake were outstanding with almost half the field weighing in more than 100lb! Leading the field at the halfway mark was Garbolino/Bait-Tech star Jason Le Bosquet with 210lb but the chasing pack were hot on his heels, including Steve Conway on 203lb, and five other anglers hunting them down with over 190lb! What a difference a day makes as a sell-out of 100 anglers fished in glorious conditions with a nice southerly breeze putting a ripple on most pegs. Most protagonists wanted to draw Glebe 1 in the big numbers after yesterday’s match, but it turned out that the place to be was Glebe Pools 4 ,5, 6 & 7, where almost everyone weighed in over 100lb. However, a brilliant angler in the form of Shimano/Dynamite Baits sponsored Rob Wootton, who was stationed on peg 2 over on Glebe 1, and that was where the title was settled. It was always going to be a close call between the top 4 anglers but at the weigh-in, Leicester’s ‘Dynamite Bombshell’ Rob, just had enough with a fantastic weight of 243lb fishing one of his favourite ‘up in the water’ methods. 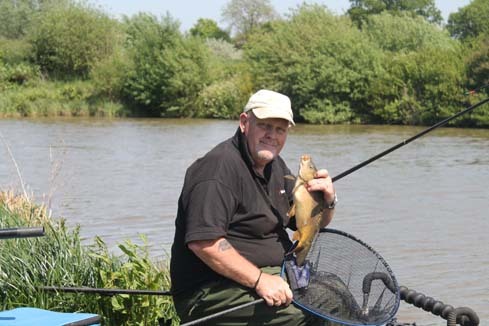 Team Marukyu angler Mick Wilkinson pushed him very hard though over on Glebe Pool 4 with 223lb. 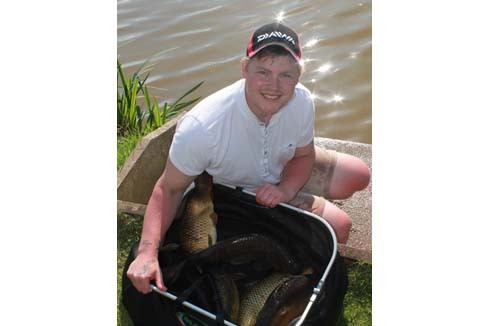 Young angler Ben Sharpe of Melton Angling was also chasing hard with 206lb from Glebe 1 peg 30. 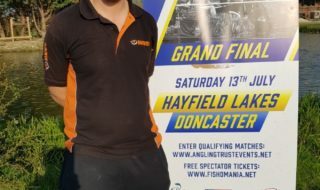 Always consistent, Preston Innovations backed angler Adam Wakelin, fishing on Glebe Pool 5 down the margin, weighed a very credible 199lb. Linda Marks presented the trophy for an incredible fourth time to Rob Wootton. 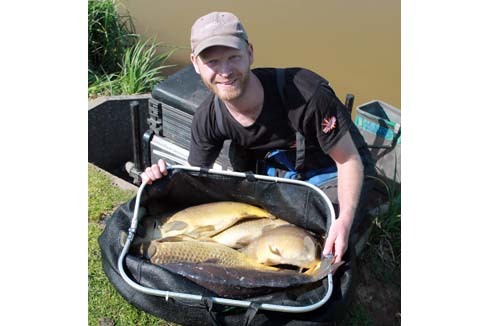 Fishery owner Roy Marlow commented that Rob is an outstanding and gifted angler at any method of catching fish and it was a flawless performance. 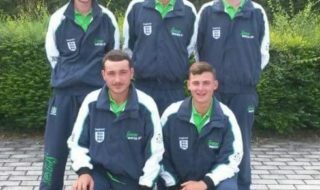 Scores of anglers have fished this friendly event every year and although many are not top-flight anglers they all comment how nice it is just to be fishing this event in memory of the late and great Ivan Marks. 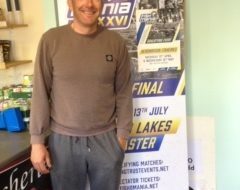 Linda Marks supports several great charities and entry ticket proceedings (£20) from everyone will be distributed to them, and they are this year: Get Hooked on Fishing, The Air Ambulance and Loros. Fishery owner Roy Marlow would like to thank everyone for making this such a great annual event.